The promotion will be 20% off all orders when you buy two Donburi bowls. Must like and show Bazuka Yakibuta Facebook Page on their phones when they purchase. Note: This promotion is only available for the purchase of any two Signature Combi Donburi @ Great World City Outlet. Available till 30th April 2015! “The road to becoming a Donburi sensei can be a rewarding journey, but it’s not for those with weak stomaches. To start, the individual needs to accomplish feats of extraordinary appetite and epicurean fortitude.” – a quoted source. 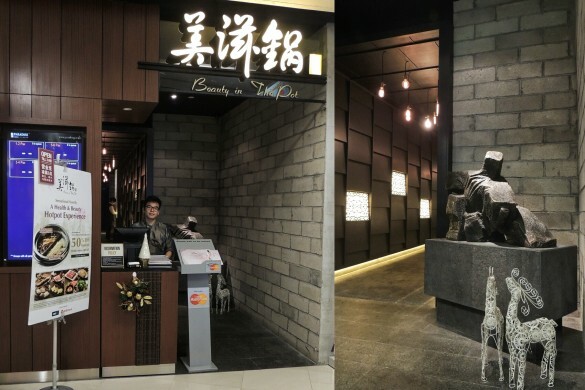 Upon reviewing Bazuka Yakibuta, it speaks all about good gourmet food like the Sio Bak and Char Siew as its signatory items. Keeping well on one of his many goals, Preparazzi’ founder, Jeremy Nguee, wants to bring great gourmet food to more people. He swings his signatory Sio Bak and Char Siew from his first catering brand ‘Preparazzi’ into a retail food business – Bazuka Yakibuta. Being an enterprising young man, Jeremy is someone who truly loves experimenting food. 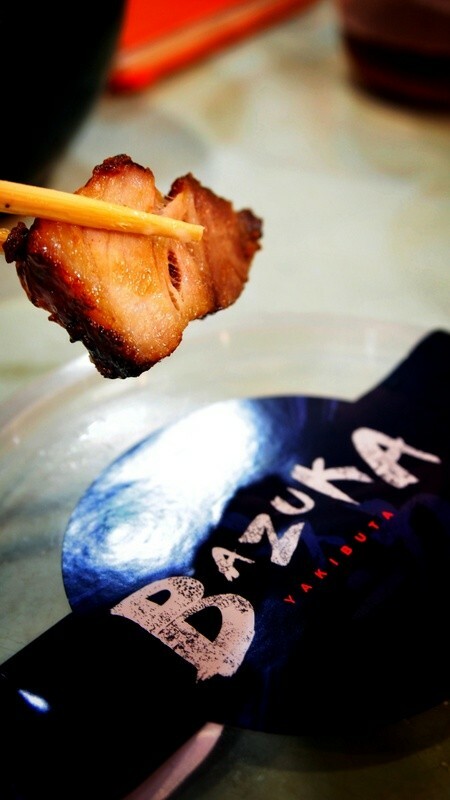 The Bazuka concept reminisces well over the style of Japanese Street Food. 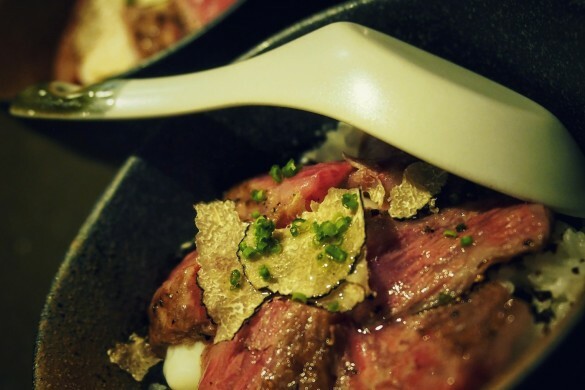 We had a mouth-watering moment of enjoying the donburi bowls of contemporary flavors and fresh ingredients. 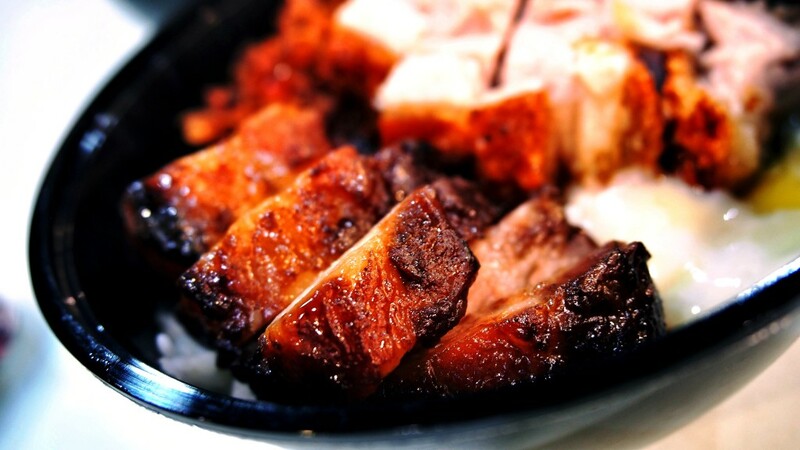 Using the Bullion cooking method, the Crackling Roast Pork (aka Sio Bak) has well balanced textures and flavors. The meats fall apart easily. 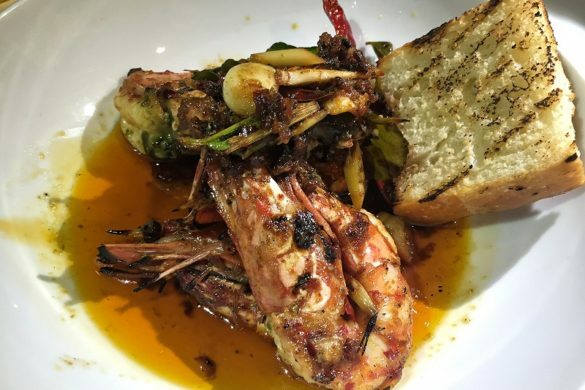 Each bite brings along with a great punch of good flavors. Bazuka is so generous with these meats. 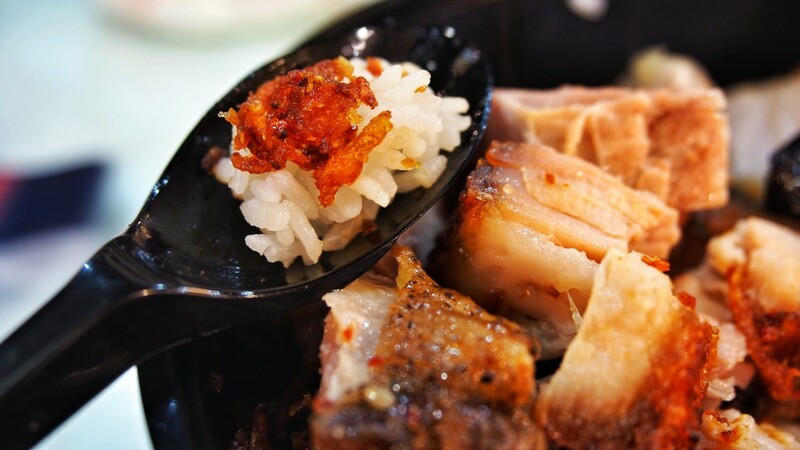 Though it comes in a bowl of just 3 to 4 pieces, each caramelized ‘Char Siew’ is tender, ending with a melting finish. 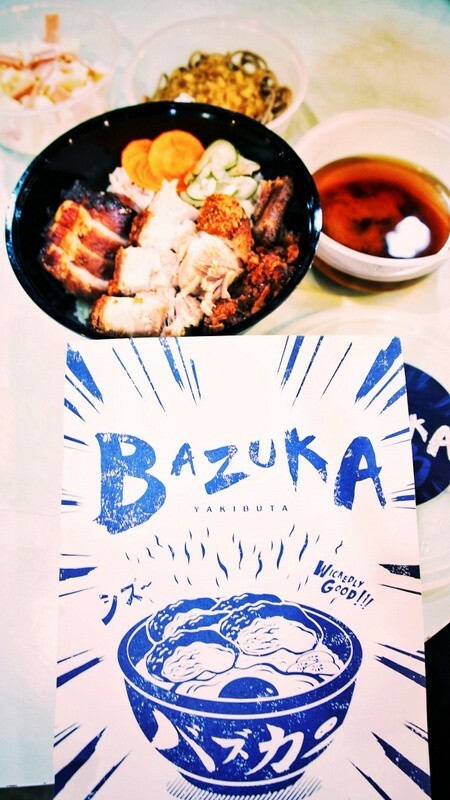 In each donburi bowl, Bazuka uses Shokaku Rice. It is not just about its fragrance. The rice brings along with good sweetness. And the homemade ‘Hae Bee Hiam’, Spicy Dried Shrimps (below) makes everything even more appetizing!! Entailing with fuller details, Jeremy is quick to add on great Japanese side dishes to the menu. 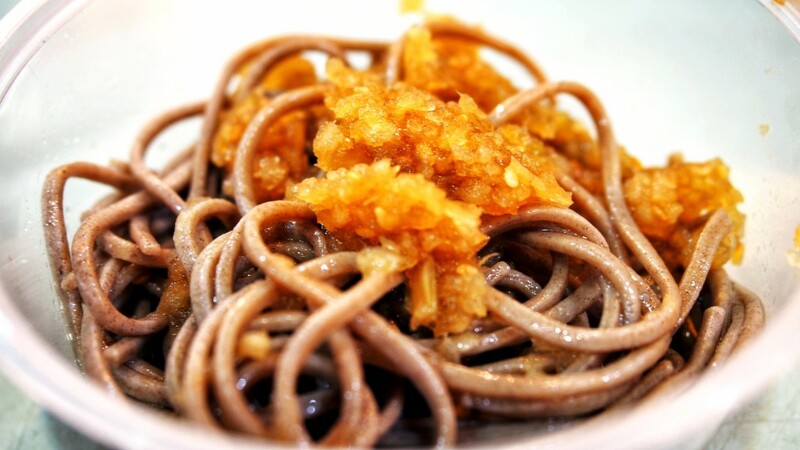 Wakame Soba Salad is one of our top favorites! 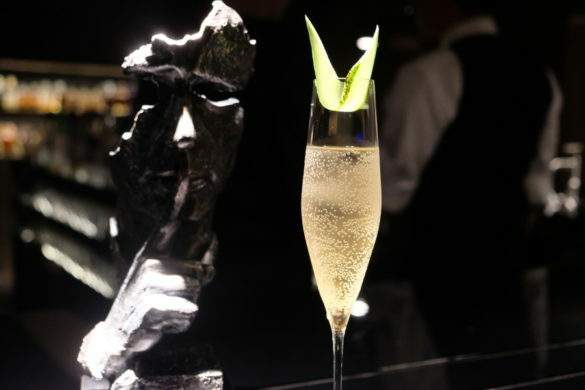 It is light to eat, and comes with a balance of few tastes. There are some other great sides to look out for! 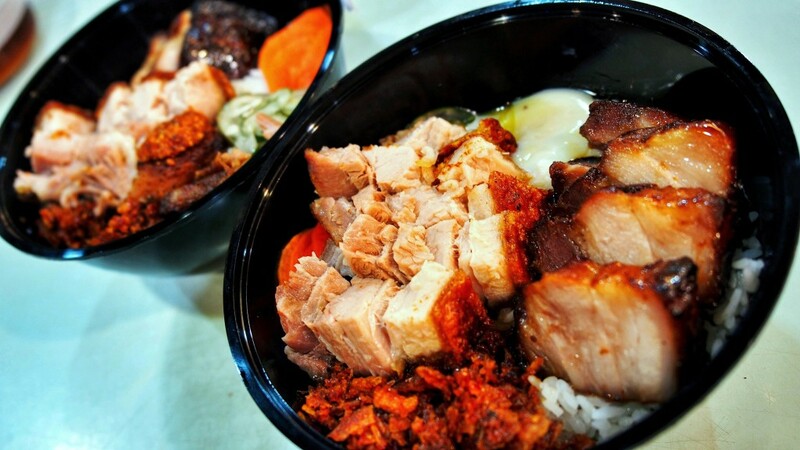 From our opinion, we feel that Singapore hawker food may bring us to another level like how Bazuka does. 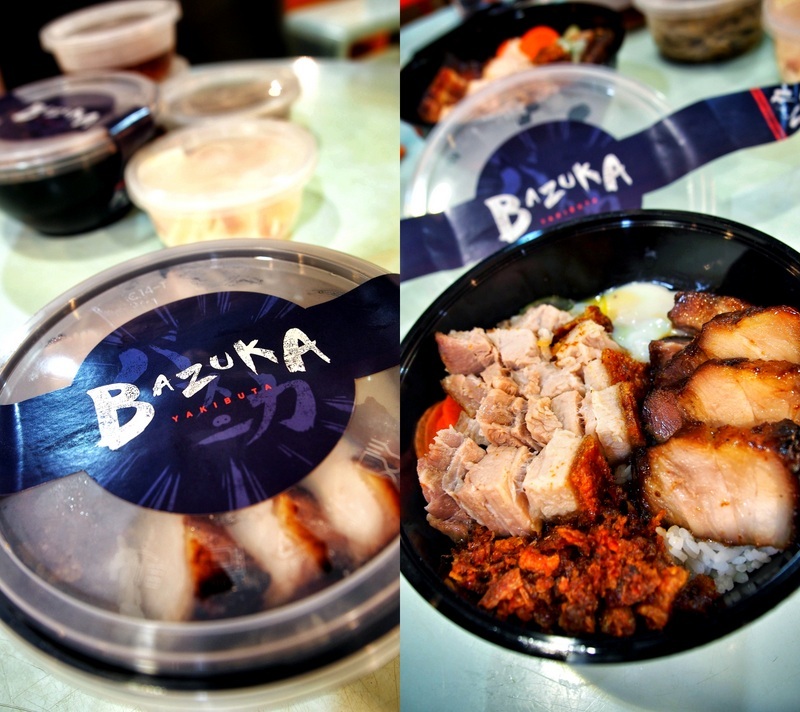 Bazuka is delivered as a good re-engineered retail concept for any hawker food. It allows easy staff training and franchising opportunities. 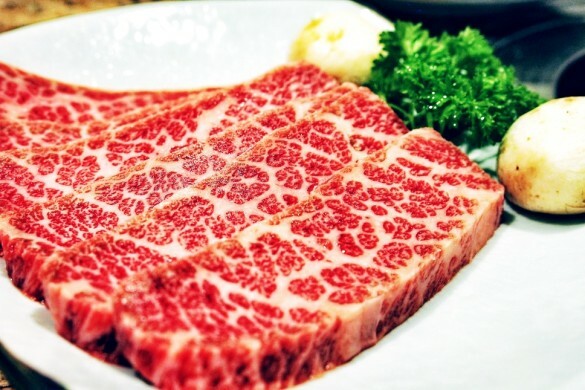 Nevertheless, the contemporary flavors of the meats do win our hearts!